Do you love to read your horoscope every morning? Horoscope HD Pro brings you your daily horoscope from the popular horoscope site Astrology-Planet website. Whether you're a hard-charging Taurus or an introspective Capricorn, Horoscope HD has got you covered. 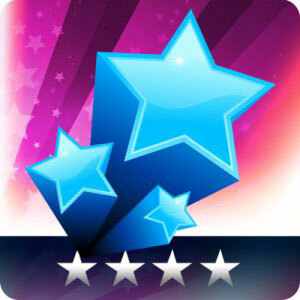 Horoscope HD Pro gets its horoscopes from a renowned Swiss astrology center. Get a full week of predictions so you can plan out your next seven days. This very simple interface features fun graphics and easy-to-read text. Horoscope HD Pro supports 20 languages, translated by professionals. Get your horoscope in Arabic, Chinese, German, Italian, Spanish, Russian, and many other major languages. The horoscopes are divided into three decantes. You only need to connect to the Internet once a day. Share your horoscope with your friends through e-mail, Facebook, and Twitter, or you can send them their horoscope. With Horoscope HD Pro, you'll always know what the stars have in store for you.